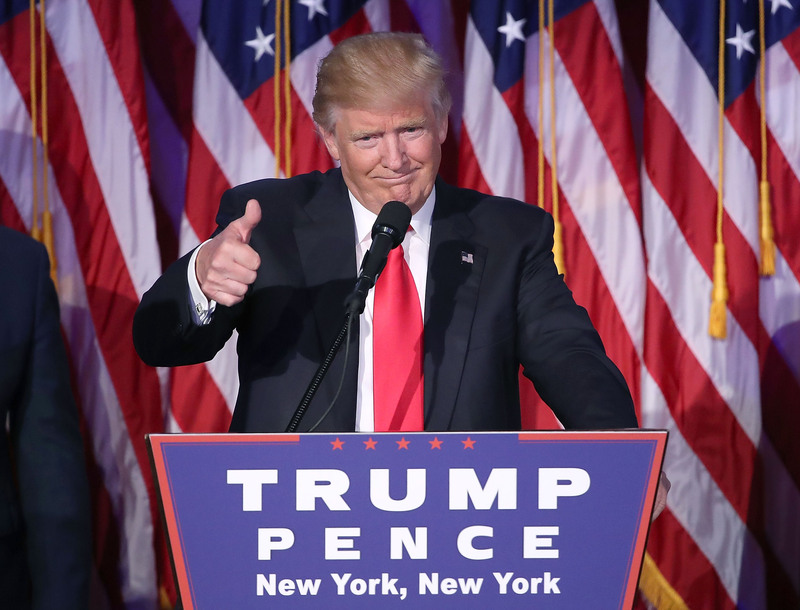 The election of Donald Trump has resulted in increased scrutiny of fake news stories shared on social media, particularly Facebook. The social networking giant has spoken out against claims that its algorithms had any significant effect on election results, but one thing is clear: It has a major fake news problem. And as data compiled and recently released by BuzzFeed News suggests, Trump's increasing anti-mainstream-media rhetoric in the last few months of his campaign may have led to a surge in engagement with fake news stories on Facebook. Facebook is now cracking down on these fake news sites by preventing advertisements from them. In the months before August, the top mainstream news stories consistently led in overall engagement. Then, from August to election day, the 20 top-performing fake news stories generated 8.7 million shares, reactions, and comments, while those from legitimate news sources such as The New York Times and The Washington Post generated only 7.3 million, according to BuzzFeed News. The chart shows just how much traction fake news stories got in the critical weeks before Nov. 8. The story with the most engagements, "Pope Francis Shocks World, Endorses Trump for President, Releases Statement" came from the six-month-old pro-Trump website Ending the Fed. It was shared, reacted to, and commented on 960,000 times, while a Washington Post story titled "Trump's History of Corruption Is Mind-Boggling. So Why Is Clinton Supposedly the Corrupt One?" only reached 849,000 engagements. So what changed in the few months leading up to Election Day? For one thing, Trump turned the anti-mainstream-media rhetoric up to 11, especially as journalists brought one damning story after another about him to light. For example, in early August, Trump released his Mainstream Media Accountability Survey on his website, which asked people to respond to statements such as "More time is spent covering fake 'scandals' involving Trump than real scandals involving Clinton and our national security." After The New York Times published its article about Trump's 1995 tax records, Trump tweeted that the story was "phony" and "a total fabrication." Just a month earlier, in September, Trump had tweeted about his intentions to sue the newspaper for "irresponsible intent." Trump's anti-media statements from August to early November did not stop at his online platforms. The Los Angeles Times reported that at Trump's pre-Election-Day rally in Scranton, Pennsylvania, his anti-media statements prompted attendees to verbally abuse media representatives there to cover the event. This was just one of many instances of Trump decrying and taunting reporters covering his rallies in the days leading up to Nov. 8. Additionally, as shown by BuzzFeed's findings, fake right-wing websites, many of which had only been registered as of this year, saw increased traffic in the months leading up to Election Day. Besides Ending the Fed, websites like Conservative State and Burrard Street Journal had autumn spikes in visitors thanks to their fake news stories which generated high engagement on Facebook. It's still up in the air as to whether or not right-wing fake news sites will continue to see this much traffic once Trump takes office. However, winning the election has not slowed his anti-mainstream-media rhetoric.